Bluedio TMS Bluetooth headset only has a button to turn on/off and without volume button, you can switch the volume on Bluedio APP or via changing your device volume. 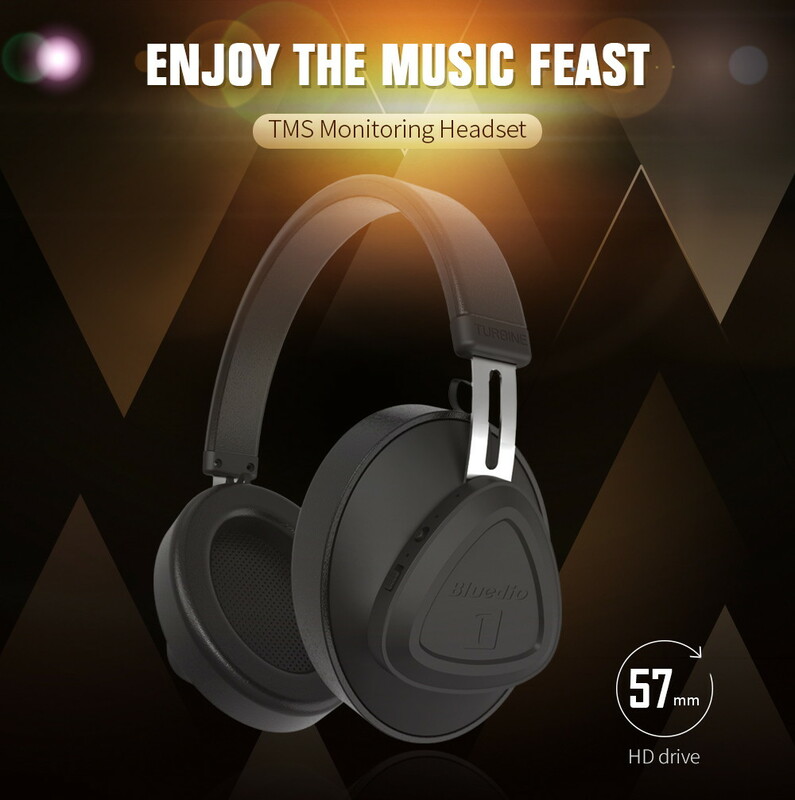 The newest Bluetooth 5.0 brings lower power consumption, longer transmission distance, more stable and high-speed transmission with good sound quality. Built-in professional custom-made optical and infrared sensor, when you put on the headset, the music will play automatically, vice verse. Never miss any calls when you are away from your smartphone, you can answer or hang up the calls via the button on the headset. The over-ear headset with memory-protein ear cushion keeps comfortable even you wear for long time. After 2 hours of full charge, can play music for 40 hours. You can also enjoy music by plugging in 3.5mm Type-C audio cable with your device when battery runs low, eliminating the hassle of no power during a short trip. Adopting double microphones and active noice canceling, the headset creates pure space when you're in noisy environments. 57mm HD drive and VFT technology offers you more excellent bass sound quality.